French Fries is a very tasty snack. This is easy to make it at home. 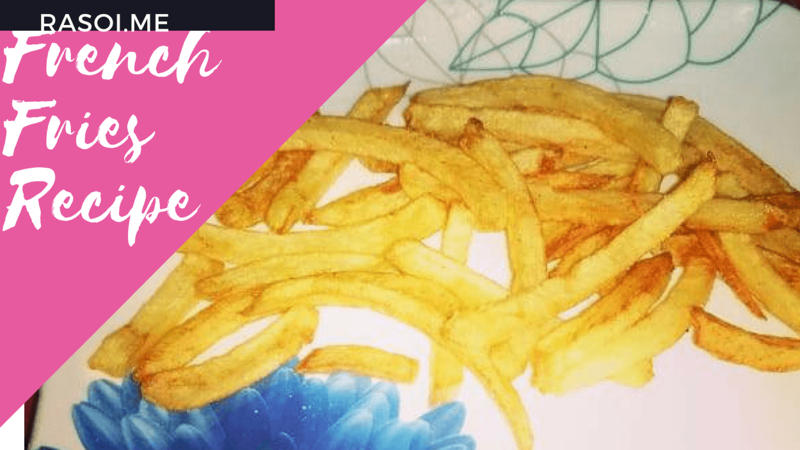 French Fries Recipe is instant and homemade. Potatoes lover. Like this French fries recipe surely. Watch the video and try it at home this instant snack french fries. Subscribe our youtube channel for more easier homecooked recipes. We start Take 1 big sizes potatoes and cut the fries in machine or with knife you can cut it long slice. Take 1 bowl add alum or Fitakri and put all the potatoes slice in it for 15- 20 minutes. Wash it 3 times after wash we can take it in plate. Heat the oil in kadhai add the potatoes slices in it. We will deep fry for 3- 5 minutes the fries on medium flame. Heat the oil in kadhai add the potatoes slices in it. We will deep fry the fries on medium flame. No Replies to "French Fries Recipe |फ्रेंच फ्राइज रेसिपी"